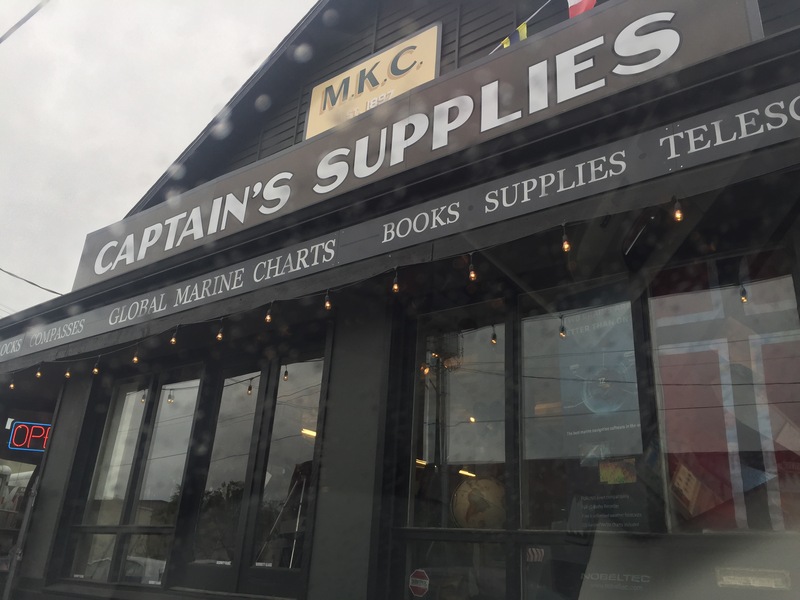 After church we visited Captain’s Nautical Supplies to print off a chart for the Broken Groups Islands, where we want to paddle this summer. We can’t just download the chart on our computer like we can for U.S. charts because it’s not free (government paid, I would assume) in Canada. It’s a fun shop to walk around, including browsing through the many really interesting looking books on kayaking and sailing. You can have free coffee while you’re there, getting the sugar from the small boat looking shelf. Upstairs has some art and telescope collection and the discount tables. 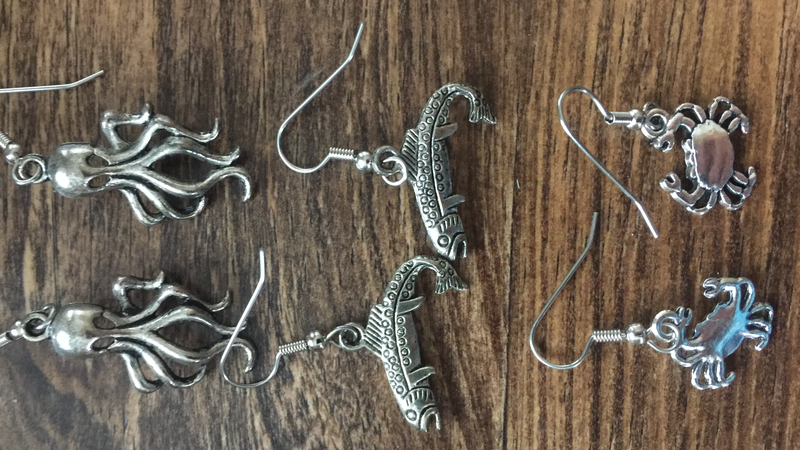 I bought three pairs of earrings from the discount table. As soon we we walked into the store my husband made the innocent mistake of calling the chart a map and was immediately corrected. We know the difference, we know when to use what. It was a simple slip of the tongue, but you can’t make those in a store of charts, compasses, and sailing gear. More importantly for us today is it has a large printer that can actually print charts (for about $25 and less than 10 minutes). Something they didn’t have even a few months ago, according to the woman working there. She also acknowledged it’s not the best for kayakers, as she handed us the huge chart, but that we just have to make do. 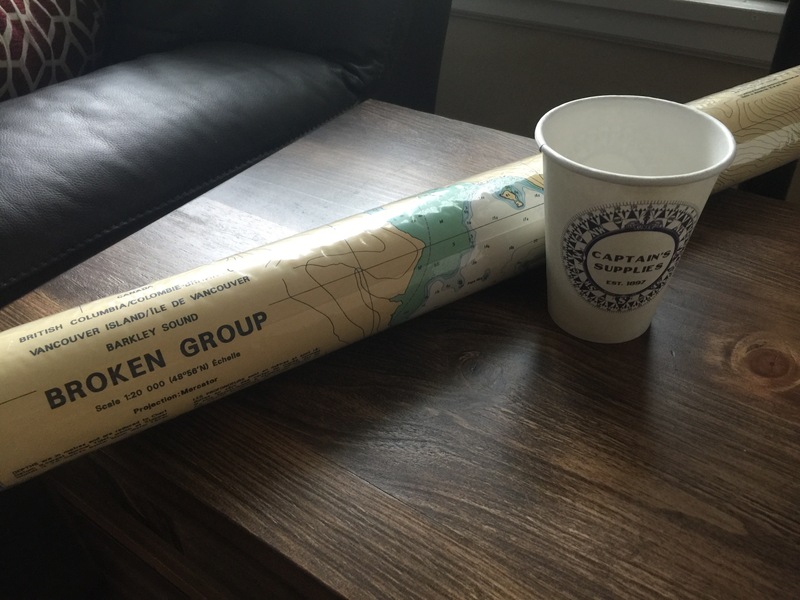 She said real chart production has only been around for a couple hundred years about, so give it another hundred years and there will likely be better charts readily available to kayakers (we asked and she does know about sea trails but doesn’t carry it yet. She said she’d look into it). I personally hope technology advancements make this process speed up, since my kayak adventures might have slowed slightly in that amount of time. For now we’ll just make due cutting the chart down into manageable sizes, laminating each sheet, and throwing it onto a binder ring like she suggested. How would you scan parts of the chart without folding it to fit it in the scanner? Take pictures of it and print those? NWOC on lake union still carries SeaTrails if you’re looking for a place to find them. Thanks! Yes, I bought some there last summer, Unfortunately Sea Trails don’t have any for the Vancouver Island area for the broken group. We just brought it up to her because she was making it sound like no charts were made for kayakers. I really like NWOC. The people that work there are great (and they let us launch from their store on the few occasions we’ve asked) and we’ve enjoyed the classes we’ve taken there. Have you had the chance to take any of their classes? Hahaha yep you would love the portals and the sail boats especially! Ooh and there were some very stylish functional bags I really wanted but I rarely use a purse… Still thinking about that one.